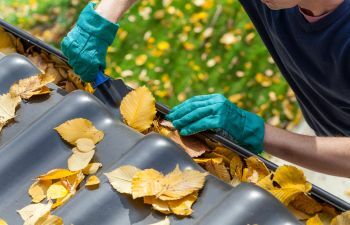 With the storms that have come through the eastern seaboard this fall, clean up before winter has become more difficult. It’s not just the leaves and sticks, but also the larger limbs and possible building damage that has gone unchecked. There is plenty to be cautious of as fall storms continue to come through. If you’re a lawn or landscaping contractor, you know your responsibility toward being safe. Do your customers understand their responsibilities, too? There is a certain amount of physical upkeep required on buildings and landscaping. If they aren’t taken care of regularly, they can cause big problems, not just with the building but also with the safety of the contractors working there! Accidents and injury can happen in a split second. It’s crucial to ensure you have an emergency plan and the right type of insurance to cover yourself and any of your employees. But what should you do if the accident was caused by negligence on the part of the property owner? If you’ve been injured while working on someone else’s property, you may have legal recourse for restitution. You may think that a personal meeting is the best way to resolve any differences, the truth is that it is usually much more effective to seek resolution through a qualified attorney. In Augusta, the Boudreaux Law Firm is your resource to resolve a potentially sticky situation. We’ll help you fight for what you’re entitled to – whether it’s lost wages, doctor’s expenses, or long-term disability because of a neglectful injury. Contact our office today to schedule a consultation!